1) fixed-run taxi №6 to Italyanskiy by-street, then walk to the building 106. 2) fixed-run taxi №73 or №60 to Turgenevskiy by-street, then walk along Chekhov street to Italyanskiy by-street, then walk to the building 106. 3) Tram №8 or №9 to “Italyanskiy by-street” stop, then walk to the building 106. 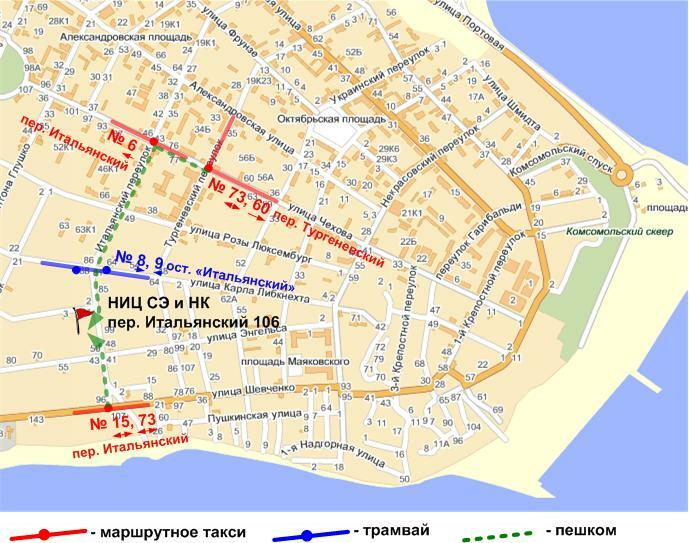 4) fixed-run taxi №15 or №73 to Italyanskiy by-street, then walk to the building 106. 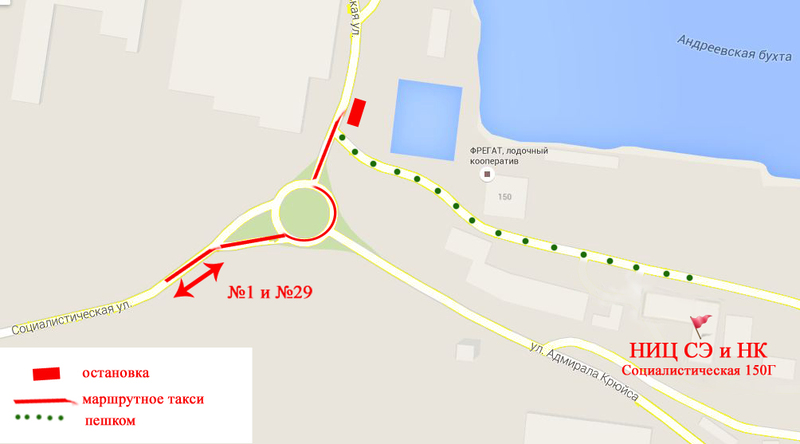 You may travel by a route taxi No.1 or No.29 to the road ring located at the intersection of Admiral Cruijs Str. and Socialisticheskaya Str. Next, you must walk to the manufacturing buildings as shown on the map.